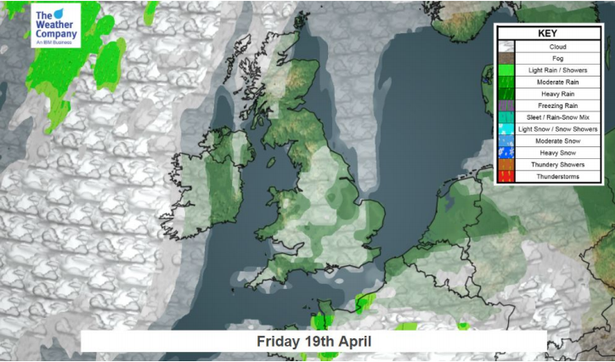 The dry and fine spell expected to warm the Easter weekend could be short-lived. Some forecast models are suggesting cooler and wetter weather will return for the latter stages of the holiday weekend in some parts of the country and this will become more established next week. So, the message from forecasters is enjoy the good weather while it lasts. Widespread dry and bright conditions are predicted with most of the country bathed in sunshine during Thursday, Good Friday and Saturday with temperatures expected to zoom into the 20s C.
While the settled spell should continue on Sunday in the south, computer models suggest the threat of more changeable conditions further north. A lot of fine weather is expected, according to The Weather Channel. Temperatures will continue rising and Saturday could be the warmest day of the year so far with the mercury pushing into the low 20s C in places. 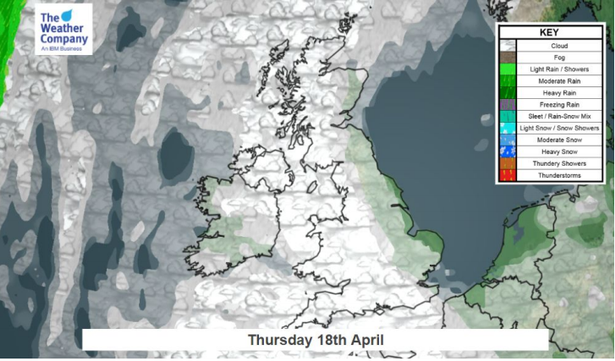 Some forecasts have also raised the possibility of this unsettled snap moving further south during Easter Monday, although there is some uncertainty in the outlook. More unsettled weather is expected after the holiday weekend and it will become more changeable with rain in many locations, especially in the west and northwest. Temperatures will remain close to normal for the time of year and it could be quite warm in the southeast in any sunshine. However it will be cooler under any cloud and rain. Replacing Mitch Garbutt tough ask for Hull KR but could Rovers go into loan market?